The highest-rated reality show ever to hit History Television, Ice Road Truckers follows the heart-pounding adventures of the tough-as-nails truckers who risk peril every day to deliver goods and supplies in Alaska and across Canada's frozen north. Alex Debogorski shares tales of his adventures, and misadventures, in the north, and explains, in his own entertaining voice, how he got to where he is today—a working-class hero, bona fide celebrity, and the improbable star of a smash-hit television show. Debogorski is a natural storyteller who knows how to spin tales about his colourful life growing up in the backwoods. Whether he's recounting tales about his hair-raising confrontations with bears, calculating the strength of newly formed ice, divulging the secrets of providing security in a barroom full of combative, drunken miners, or saving the life of another trucker, he keeps readers wanting more. 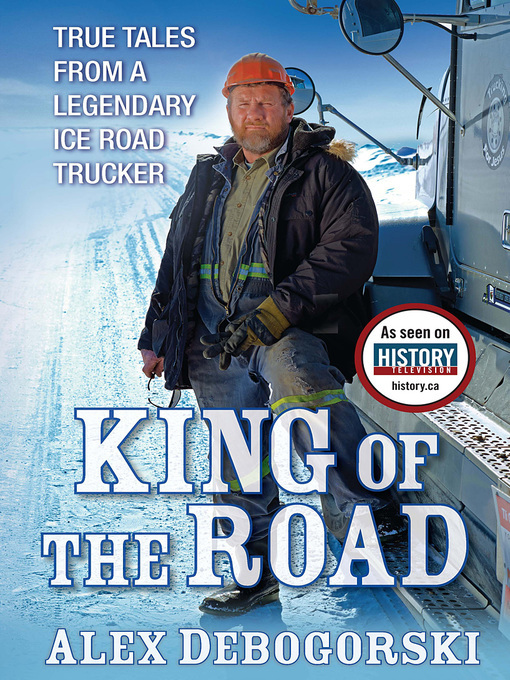 King of the Road gives fans of Ice Road Truckers a deep look inside the life and times of the show's biggest rising star.